NGA provides a full range of consulting and design services for the professional foodservice industry. 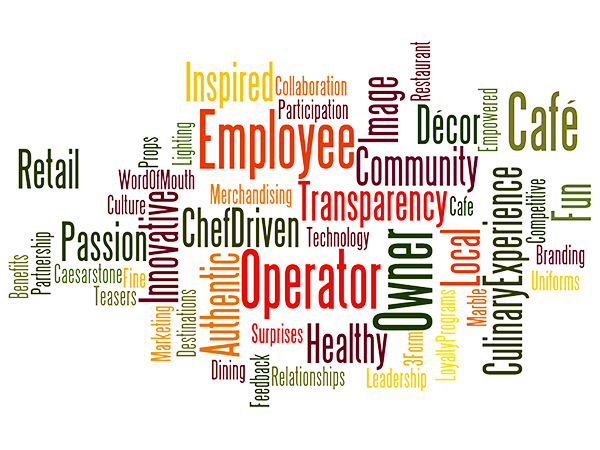 We bring our creativity and passion for foodservice operations and design to each new project. Our team’s broad industry experience includes working as professional chefs, managing foodservice establishments, providing equipment support services and implementing technology projects. We have the experience and resources to work both domestically and globally. We work to provide aesthetic, creative and functional solutions to each design and operational challenge. We think of the Guest experience as well as that of the person that must perform in the workspace. We work collaboratively with the Project Team, which may include owners, operators, architects, developers, contractors, vendors and other partners. We promote environmentally sustainable operational practices, equipment and design solutions. We recommend flexible, future-proof design and infrastructure solutions, which readily allow adaptation, upgrades and improvements over the life of a facility. We aim to keep projects on track and on budget throughout the process. We value our relationships with associates, clients, industry affiliates and peers as they are the key to our continued growth and success. We do not accept rebates, spec credits or kickbacks from suppliers. We aim to work openly and transparently. Organizations of all types come to NGAssociates for foodservice consulting and design services.